Over the last couple of weeks I decided to open an online store so I could take our readers step by step through the entire process from beginning to end. What niche will you be selling, you may ask? Well, that’s the biggest question of them all. We know that when it comes to eCommerce ‘following your passions’ isn’t enough. The secret to finding a niche is about finding a balance between your passions, your skills and the demand of the market. A niche market is a specific market that a product is focusing on. In other words, which specific market’s need is a specific product satisfying? A niche can be further broken down into smaller market segments that will be determined by things like demographics (age and location) and buying power. For example, the niche of a sneaker could fall under athletics, fitness or fashion, depending on the product and the need it’s fulfilling and of course your targeted shoppers. Why Should You Concentrate on Finding Your Niche Before Selecting Your Products? This is two-fold. Firstly, choosing a niche allows you to think about, research and understand your target audience. It allows you to put yourself in the mind of your possible consumer, to see what types of products you should be pushing to fill their needs. Secondly, as any seasoned online store owner knows, product popularity fluctuates.Marketing to a specific niche means that regardless of what products you add or take off, you have a stable niche you’re marketing to. Whether you’re a potential store owner or a seasoned store looking to expand your niche, then hold onto your hats and join me on the journey to find a profitable niche in seven steps. One of the biggest reasons online stores fail is because store owners pick a passion and run with it without doing due diligence… Which is researching whether there are potential shoppers or customers out there willing to pay for the products you will be selling, i.e, is there a demand? So why look at your passions? Because your passions will point you in the initial direction before you get your research on. It will also ensure that no matter what makes it to your short list, you will enjoy what you’re selling. Make a list of all the things you are passionate about and/or knowledgeable in. For me that was simple to do: travel, photography, copywriting, coffee, more coffee, the beach, John Grisham novels on a rainy day and snacking. But, how to materialize that into a possible online store niche? To do that I broke my lists down further. 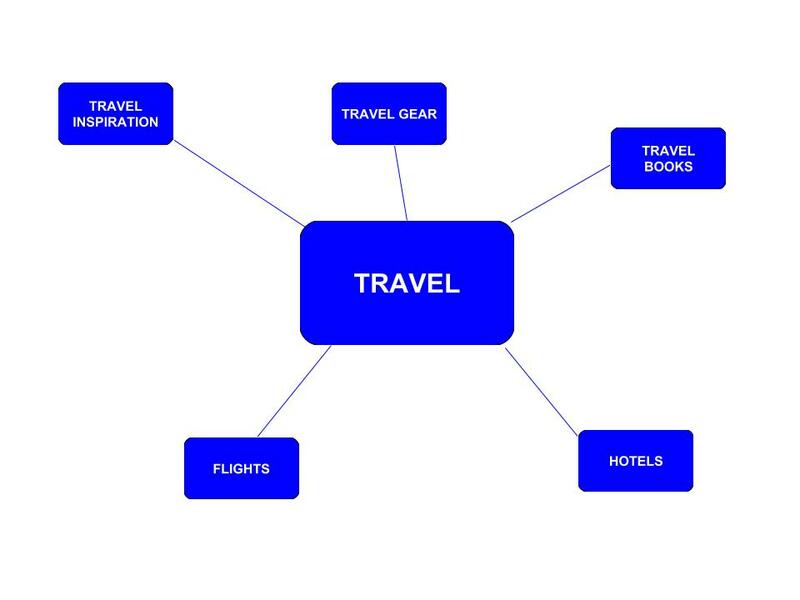 For example, for travel, possible niches include travel gear, travel books, travel destinations and so forth. Then, for each item on the list, I followed the remaining steps to see if the niche was indeed profitable. For each possible brainstormed niche, the next step is to look at the audience potential: to look at the type of audience that would be interested in the niche before digging deeper to segment. Write down the broad niches you are passionate about, interested in and know something about, without censoring yourself, and then break it down further to get your list of possible of store niches. To really break into a niche you need to be able to add value within it. The thing is, there will be hundreds of other stores selling the same products within the same niche. You need to ask yourself whether your store is able to solve problems or provide for the needs of your potential shoppers in that niche, and whether you can provide value – or offer a unique spin – to make your store stand out. Being an expert in your niche allows you to provide informative content and position yourself as the go-to expert within that niche, making your store, your products and your brand more trustworthy, knowledgeable and helpful and ultimately more profitable. If you can add such value, you’re providing more than just a product, but a service. This will also allow you to charge premium rates as people are more inclined to pay more for better service from people they see as ‘experts’. For me, as a frequent traveler, I know I could build on ‘expert’ status with regards to travel hobbyists. But as someone who had never backpacked as a student, who doesn’t have knowledge on the couchsurfing culture per say, if I chose this niche, it would be more difficult to position myself as an ‘expert’ and therefore provide the value needed. I am not saying you absolutely have to be an expert, but it definitely will give you a step up. Next, ask yourself if there is customer interest. Is there a significant number of people as passionate about your possible niche as you are. Spend some time on online forums or talking to people around you that fit into your possible audience. Ask yourself if people are spending money in the niche and are there presently problems or needs that your online store could fill. To go back to my list, it doesn’t take a lot of research to know that there is customer interest in travel products and gear. To dig further, I would need to look at each possible segmented niche to gauge the amount of interest and to which products that segment would. As a potential store owner without an existing customer base I could crowd-source for information, it was time to hit Google, step 4. Now this is where you really get your hands dirty. Once you have established your passions, your audience and whether you can offer value on the subject, it’s time to do some research. To do this you will need to research trends, search volumes and demand within your niche, as well as what products are being sold. There is an abundance of online resources out there for you that can help you conduct your search on finding a profitable niche. These are the ones I used. Use Datalabs eBay to see what types of products are sold in each category as well as the sales numbers. You can search anything from antiques to video games, as well as by keyword. 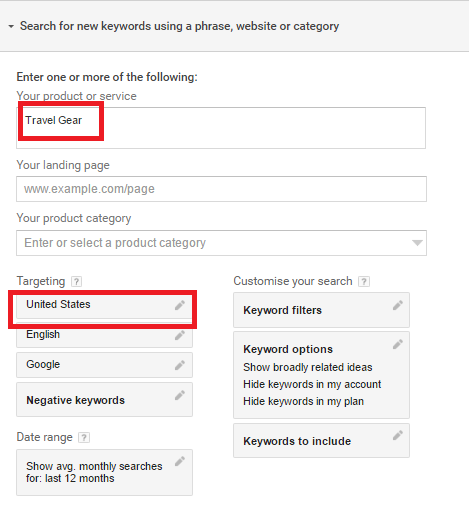 Here’s the search I did for ‘travel gear’. Google trends is a great source of trending, interest and search data. Not only will it show you the search volumes over the last five years, but you can see where in the world there is most interest. This is an important consideration when choosing your niche whether you are going to be selling locally or globally. You can also use Google Trends to search Google Shopping. This will give you the biggest trending products online from as recent as an hour ago to as far back as 2008. Amazon is not only a great place to see possible niche categories, but to see what’s selling. 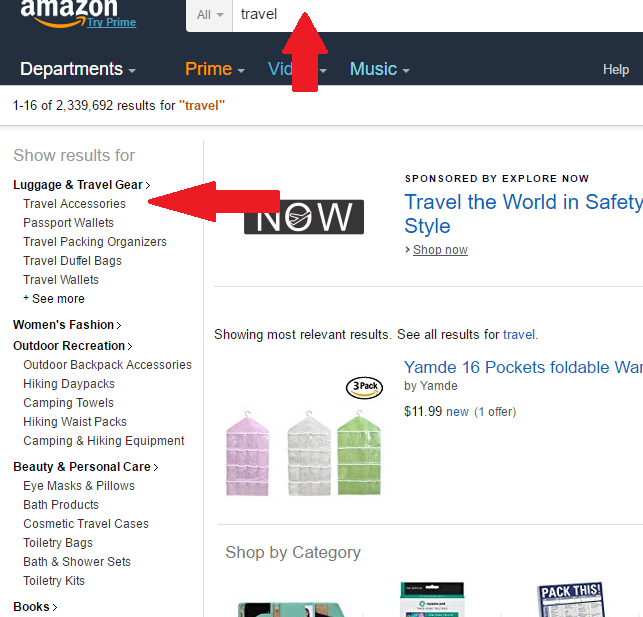 Type your broad niche into Amazon’s search bar and hit ‘all’. On the left, all the categories or sub-niches within that niche will be displayed. Amazon’s Best Sellers will also show you actual products in high demand. Go back to your possible niches and ask yourself, would this fit the segment I have chosen? Carrying on with my example, using the best sellers from below, it is clear that most of the best sellers would not be in high demand among backpackers. So if I still want to aim for that niche I would have to dig a little deeper. You can use the Keyword Planner to get niche segment ideas, as well as to check the demand on the segment you are shortlisting. Start by selecting ‘search by words and phrases,’ then input your broad or segmented niche and the location you’re interested in. Then push the ‘get ideas’ button. By supplying products that are difficult to find in the areas you are marketing to, you are able to tap into demand and make your store the go-to for a niche. Will your products be small enough to ensure cheaper shipping costs and therefore higher margins? Products that are used up quickly, coupled with good customer service, means more frequent business which ultimately brings in more sales and profit. Being able to upselling products could make or break your profitability. Having products that have accessories or additional, will make them easier to upsell. We can’t all make our own products, but we can source a product with a unique spin. A suitcase with an unusual pattern, a travel cushion that’s shaped like fruit, anything that fits your target audience and stands out. If you’ve made it to this step you’re well on your way to narrowing down a new profitable niche. Now it’s time to get out that faithful calculator and dust off those math skills. Once you know there is a demand and a list of products, you need to look at the numbers to see exactly how profitable it will be. To do that you need to work out your potential margins and pricing. Let’s use my example of a travel gear store, if I were looking to add travel pillows as one of my main travel inventory items. I did a quick search on Aliexpress to get a rough estimation on costs – remember you can go back to this once you’ve finalized your niche and when drop shipping or buying or manufacturing you can always work out bulk deals and/or take the time to find the best Aliexpress suppliers. If I was buying travel pillows for $5.90, and selling them for $15.90 then my gross profit, on each item sold, would be $10. My margin would be 62%. Now, at this point it’s easy to say, woohoo, profit!, however you need to look at what the competition is selling it for (in this case, EVERY airport). Plus you need to look at a lot of other competitive variables, to get a truer understanding of what the average sales price is. Which brings us to the final step: analyzing the competition. To find out who your biggest competitors would be, a simple Google and Amazon search will get you started. You can also use sites like Similar Web and Moz Open Site Explorer to evaluate how successful those stores are in the way of traffic and their current SEO standing. You will want to look at who your competitors in the potential niche would be, who their customers are, what kind of content they provide, shipping options, price, etc. Now, I am not saying that competition is the worst thing in the world. Not only does it prove the popularity of a niche, confirm demand and ensure there are sales to be had, but it gives you a chance to see how you can position your store to win customers over. This is not price-dependent; you don’t have to be the cheapest store in town. It is about being able to provide value. People will pay more for things like good service, faster delivery, and better quality. Ask yourself how you can make the products you’re selling more interesting, because for many small businesses, personalization is key. There are no perfect profitable niches. Yeah, I said it. Whichever way you go, or niche you pick, the trick is the balance between a niche that you can add value with, one that you are passionate about (because you will be working on it 24/7 it needs to excite you), and one where there is money to be made. But ultimately, whatever niche you choose, what you put in, you’ll get out. Stay tuned in the coming months as we explore and tackle the ins, outs, struggles and small successes of opening up an eCommerce store from scratch.